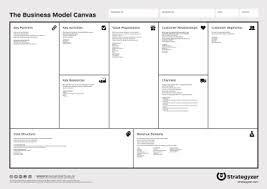 [vc_row][vc_column][vc_column_text] The Business Model Canvas (BMC), is a strategic management and entrepreneurial tool. It allows you to describe, design and challenge an idea or project. It makes an ideal workshop for entrepreneurs and business people, its an engaging and interactive process that stimulates innovation. Works with groups from 5 – 50, no previous experience or knowledge required.